Ministers have promised motorists greater protections against ‘bogus’ parking fines after new measures to clamp down on ‘rogue’ private parking firms became law. It creates a new independent appeals service, which gives drivers greater support to challenge ‘unjustified’ parking tickets, officials said. All private parking operators will also have to follow a new industry backed code of practice. 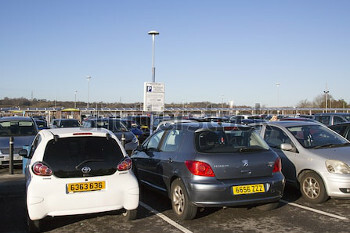 Government officials said the code of practice will ensure parking is ‘consistent, transparent and easier to understand’. Private parking firms breaching the code could be barred from obtaining motorists’ information from the DVLA to enforce tickets. British Parking Association (BPA) chief executive Andrew Pester said the Act will 'deliver our call for a single standard setting body, single code of practice and a single independent appeals service'. Steve Gooding, director of the RAC Foundation, said: ‘Sir Greg is to be congratulated for his success in uniting MPs and peers alike to deliver the Parking (Code of Practice) Act the private parking industry so clearly needs. Parkex is the place to go to see first-hand all the most innovative parking technologies available today and where the sector comes together to find solutions to the latest parking issues, exchange best practice knowledge and hear from the key stakeholders in this ever-changing sector.